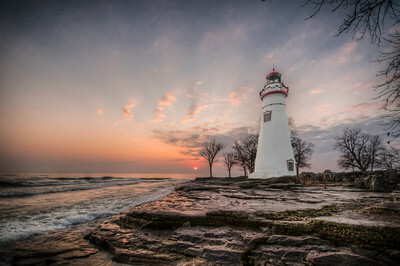 Sunrise at Marblehead Point in Ohio on the shore of Lake Erie. 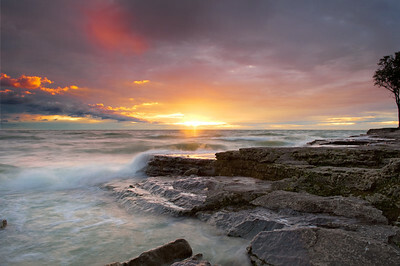 I love the rocky coastline here. 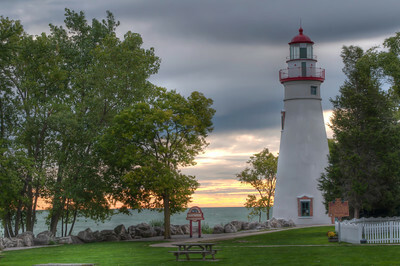 It is one of my favorite places on the Lake Erie coast. 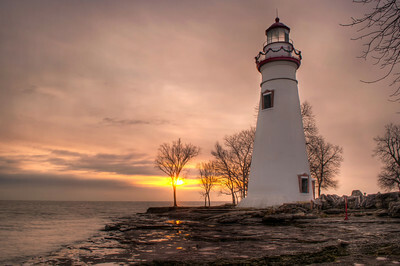 Sunrise at Marblehead Lighthouse in Ohio on the shore of Lake Erie. 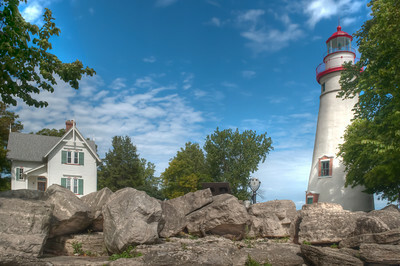 I just love this lighthouse sitting on the rocky coastline. 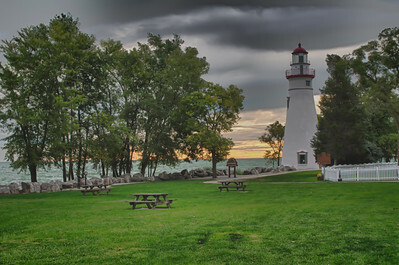 It is one of my favorite places on the Lake Erie coast. 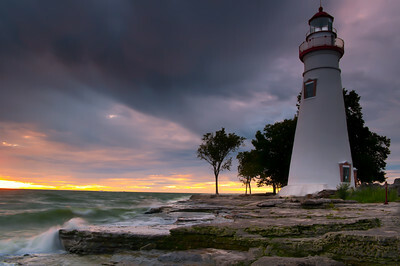 I took another ride out to Marblehead to try to catch the sunrise. 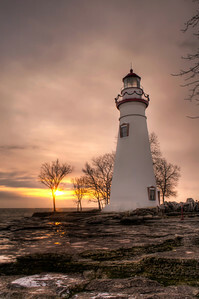 Right around the winter soltice the sun rises behind the lighthouse as taken from the rocks. 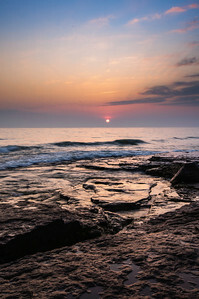 It was cold and the rocks were very icy. 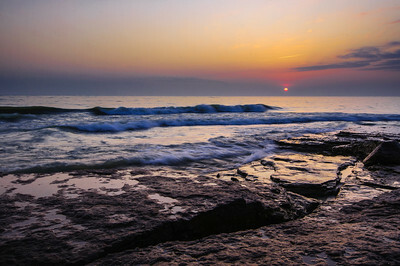 I almost took a spill a couple of times. 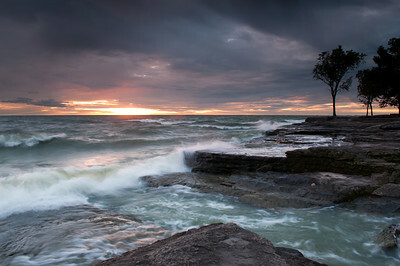 Its a good thing I didn't because unlike in the summer time there was absolutely no one else around. 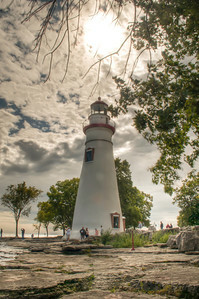 Taken at the Marblehead Lighthouse at Marblehead State Park on Lake Erie in Ohio. 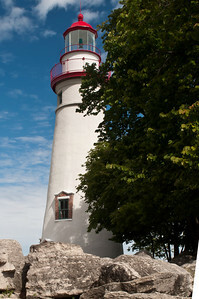 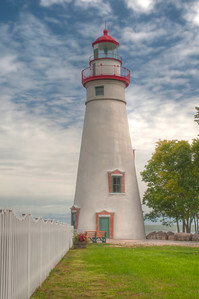 This is the Marblehead Lighthouse at Marblehead State Park on Lake Erie in Ohio. 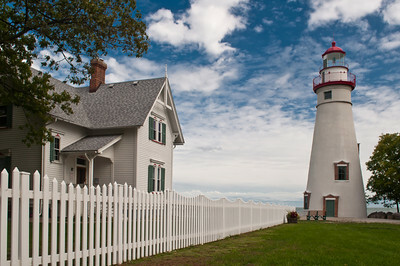 In the background is the lightkeepers house which is now a museum. 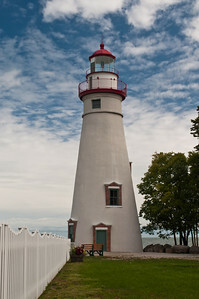 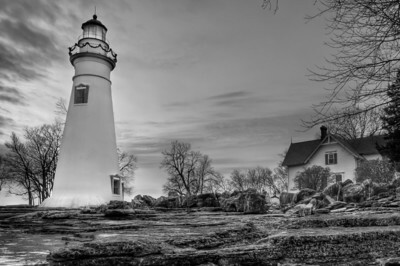 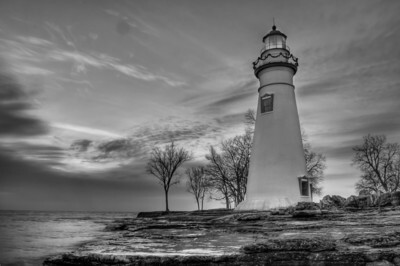 The lighthouse at Marblehead Point on Lake Erie is the most photographed spot in the state of Ohio. 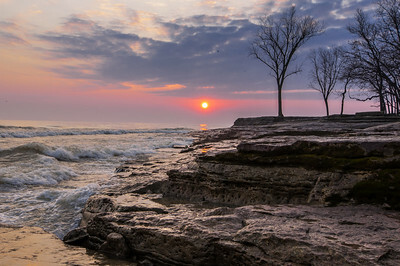 The sun rising over Lake Erie, taken at Marblehead Point in Ohio. 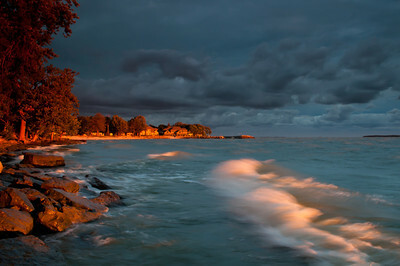 As the sun breaks the horizon it illuminates the shoreline at Marblehead Point in Ohio.